The Warwickshire man, was speaking from his home in England before the first of three matches at Bready, which gets underway on Monday. 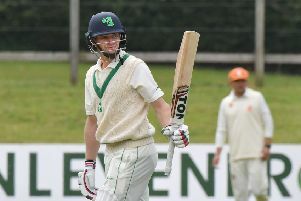 “I’m really excited for international cricket in the North-West where there is a vibrant cricket community and I’m sure they will turn out in numbers to watch the games. I am hoping matches like these will inspire new generations of cricketers in a region which has produced so many great cricketers over the years,” he stated. “It has always been the aim at Bready since the new club was built to get international games and I’m hoping this is the start of more and more games in the future. “As for our opposition, we have always had a great games between ourselves and Afghanistan and this series will be no different and will be closely fought. 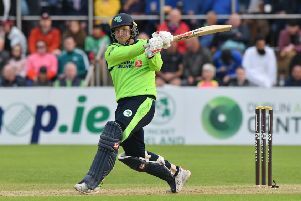 Tickets are now on sale for the three T20 Internationals at Bready Cricket Club through Ticketmaster, with three match packs available. Ticket prices for the T20 Internationals at Bready are Adult £10 per match (3 match package: £22.50). Pensioner discounted price: £8 per match (3 match package: £18), Under-16s are free of charge.